* 27.86 Oz. Made of high-grade waterproof fabric with microfiber leather, durable, water-resistant. 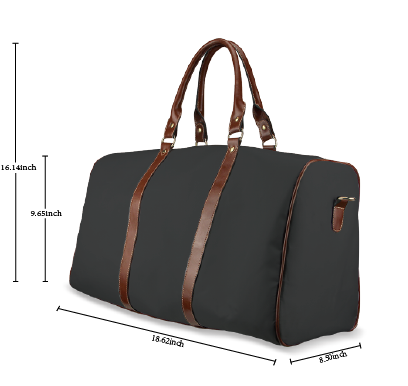 * One main compartment, big enough to bring purse, cosmetic case, sunglasses, etc. * One interior pocket for small items. * Sturdy portable belt and comfortable shoulder strap. Left/Right: 1321 x 1577 or higher.